Snapchat is one of those platforms which are ideal for secret conversations. The self-destructive nature of snaps makes it a trustworthy platform where users can share just about anything without being concerned about it getting screenshotted or recorded. Snapchat even notifies users when a photo, video or chat sent by them has been screenshotted. This is a useful feature that could alert users about potential misuse of the content they have shared. When your Snapchat contact is using the official Snapchat app, you’ll likely get notified when he or she is trying to screenshot your shared content. 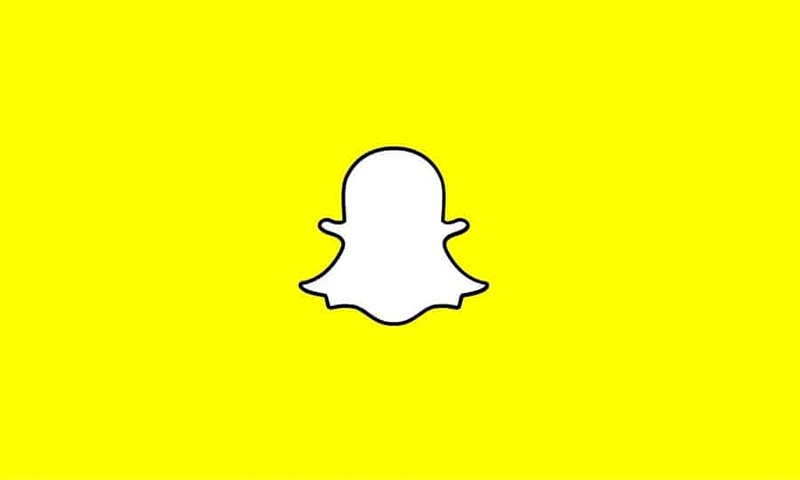 Open the Snapchat app on your smartphone and ensure you’re logged into your account. Swipe left from the Camera screen to go into the Chats screen. Look for two overlapping arrows on the left side adjacent to a particular chat. You will also the word “Screenshot” followed by the approximate time when the screenshot was taken. Note: Snapchat has different indicators (usually right-facing or overlapping arrows) for how chat content is handled. Arrow colors are blue for texts, red for photos, and purple for videos. If a snap was sent but not opened, you’d see a blue, red or purple right-facing arrow. If your snap was opened but not screenshotted, you’d see an outline of a blue, red or purple right-facing arrow. If your snap was screenshotted, you’d see a pair of blue, red or purple overlapping arrows. Normally, Snapchat retains screenshot information in offline mode. So, if a particular user takes a screenshot in offline mode (i.e., when they are not connected to the Internet), Snapchat would retain the information, and send the screenshot notification later when the connection is re-established. But is Snapchat’s notification system fool-proof? Hardly so. If you’ve been following Snapchat-related news, you might already know there are a few workarounds available for taking screenshots of Snapchat chats, photos or videos. And this fact is grossly misused. We often hear about private photos, videos, and conversations being leaked online, often leading to cases of serious harassment or even blackmailing. We intend to make our readers aware of the possibility of being screenshotted on Snapchat (not to mention, other social apps too) and proceed with sharing of private content on these platforms with extreme caution. Here are a few ways by which someone can actually screenshot your snaps without triggering a notification. The simplest way to get a screenshot of your Snapchat conversations is to take a picture from another phone. Of course, this is technically not a screenshot and the captured photo would not be of original quality. But, for all intents and purposes, it could be as damaging as an original screenshot, depending on the situation. Another way in which screenshots can be captured by a person without notifying the sender is by grabbing it in Airplane Mode. Open Snapchat on your iOS or Android device and open the particular photo or chat that you want to capture. Ensure that the content is completely loaded and turn on Airplane Mode. With the device in Airplane Mode, take the intended screenshot. Now is the time to clear app cache and data. On your Android device, go to Settings >> Apps >> Snapchat >> Storage and click on Clear Data and Clear Cache. On iPhone or iPad, hold the Power button till you see the slide to power off screen and then hold the Home button till you’re back to the main screen. Alternatively, you can even uninstall the Snapchat app completely to remove all data from the device. That’s it! Once you follow these steps while screenshotting a snap, the sender of the snap won’t even know that the snap had been opened, let alone been screenshotted. Another way to grab the screen of a Snapchat conversation without notifying the sender is to use a screen recorder app. For iPhone or iPad, you could use the built-in screen recorder app available on iOS 11 and above, or use the QuickTime Player on Mac to capture your iPhone or iPad screen. For Android, AZ Screen Recorder is a pretty good alternative. Start the screen recording on your Android or iOS device and launch Snapchat. With the screen being recorded, view the preferred Snapchat content that you’d like to capture. Once the content is captured, stop the recording. You would now have a video of the intended Snapchat conversation or story without the sender knowing about it. If you still need a screenshot, you can easily do so by playing the video and taking a screenshot of the intended frame. Some video players, like VLC for PC and Mac, natively support this. There are a few apps available for both Android and iOS that allow you to bypass Snapchat’s notification triggering system and secretly take screenshots, recordings of Snapchat conversations and stories. Download and install SnapSaver from Google Play Store. Select the required option from Screenshot, Screen Recording, Burst Screenshot or Integrated. Open Snapchat and launch the snaps you want to save. Tap on the pop-up camera icon to take the screenshot or start screen recording. Finally, you can end the recording by going back to the SnapSaver app. The screenshots and recordings would be saved to your phone’s gallery. Similarly, for iOS too, there are a fair number of tweaks available that allow you secretly screenshot or record Snapchat conversations and stories. Though these tweaks are not available on Apple’s App Store, it is relatively easy to install these apps without jailbreaking your iPhone or iPad. Cydia Impactor and BuildStore are two common sources where you can install unofficial app tweaks like SCOthman Snap for Snapchat, which let you secretly screenshot or record Snapchat content, among other features. You can learn more about Snapchat tweaks for iOS in this article. So, you can see how Snapchat’s way of notifying users when they are being screenshotted or recorded. Is far from perfect. It is always a good idea to carefully consider what you share, and with whom, social media, even on self-destructive messaging platforms like Snapchat.